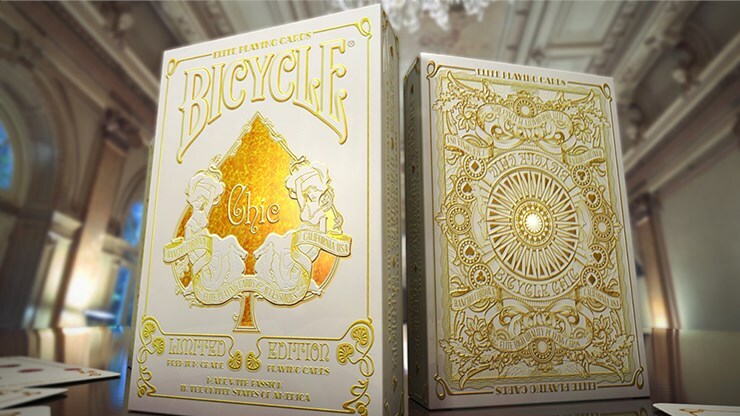 Inspired by the Golden Twenties, the Bicycle Chic Deck encapsulates classic luxury. The use of noble materials uncompromisingly fulfils the highest of standards in every detail of the deck, where classic design meets contemporary glamor. A timeless interpretation of a sleek and seductive deck of playing cards. Specially designed for the lovers of fine playing cards, this deck epitomizes those chic city values that instinctively identify with charm, elegance, and refinement.